In 1998 I had just retired from working 20+ years in a local paper mill, ready to pursue a different path of work and other interests. One day my young daughter brought home from a local craft show a small unpainted birdhouse. 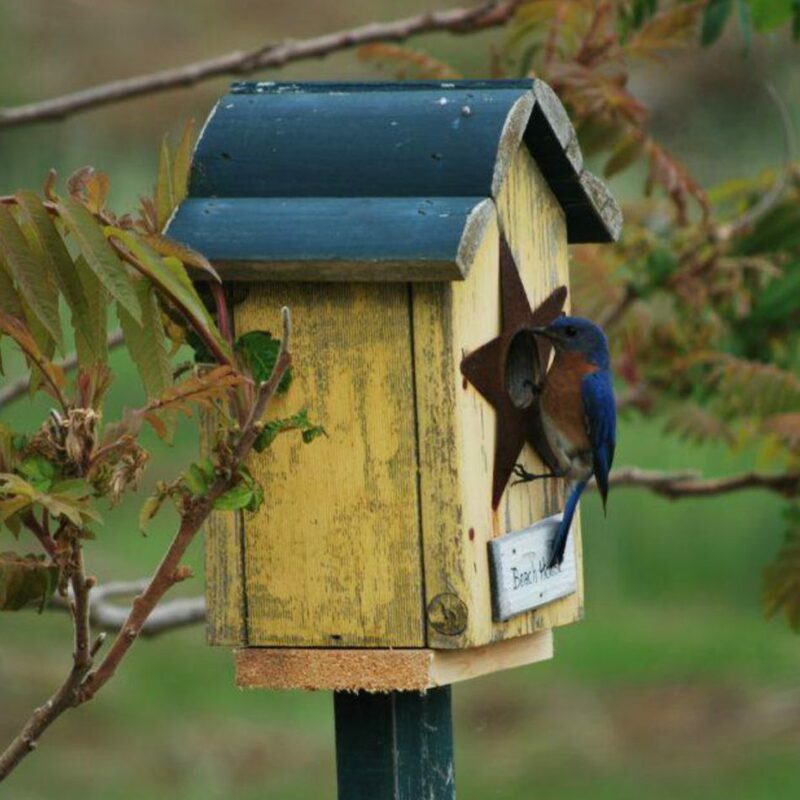 As a project together, we painted and installed the birdhouse out in the field. To our surprise that early Spring, a pair of swallows took up residence in our new house. 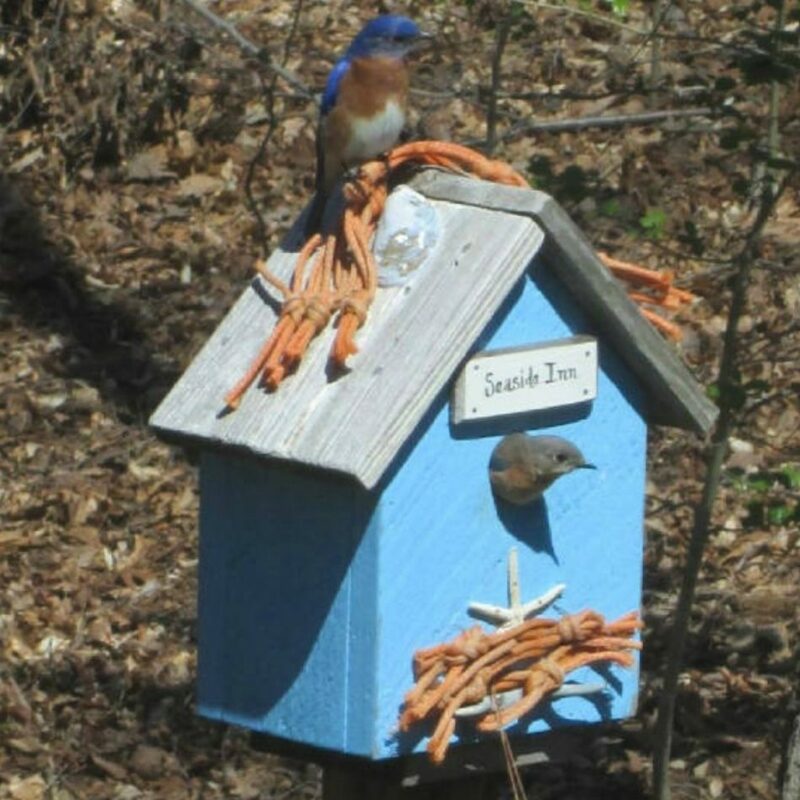 “I was hooked from that point on.” Reading up on birds and their habitat in many books, I started to build basic birdhouses at first. Then as I started to use many types of recycled materials my creativity started to expand. Using resalvaged pieces of metal, stone, wood, household items, etc. my designs became unique, one-of-a- kind pieces. 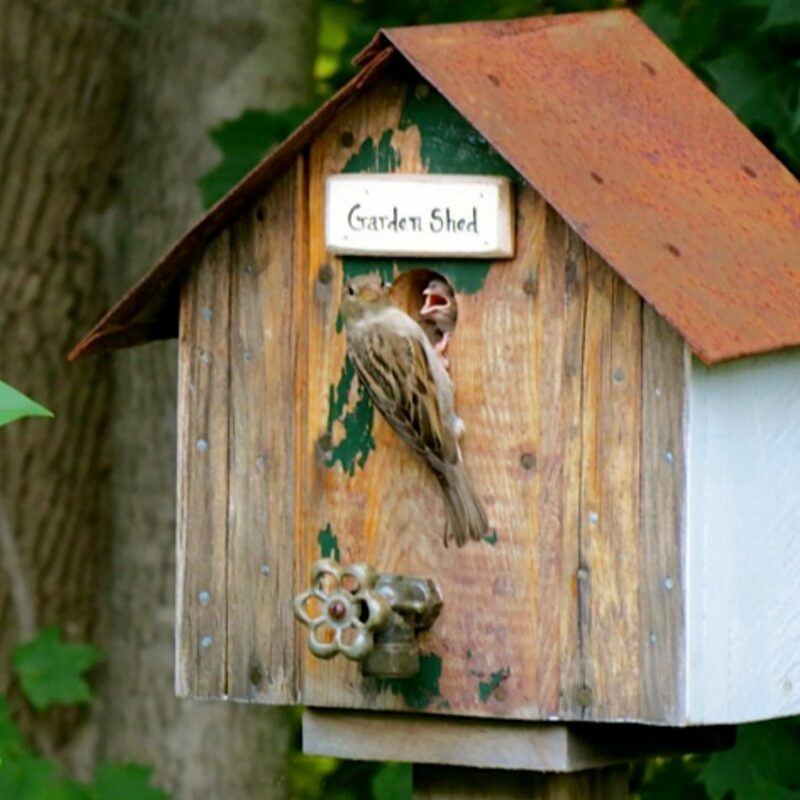 My wife, daughter and I started to exhibit our birdhouses, signs and other products at craft shows. The popularity of our products was greatly received. Soon, what started out as a hobby turned into a new small business. Although our product line has expanded greatly since the beginning, we have made sure our gift line is very affordable. 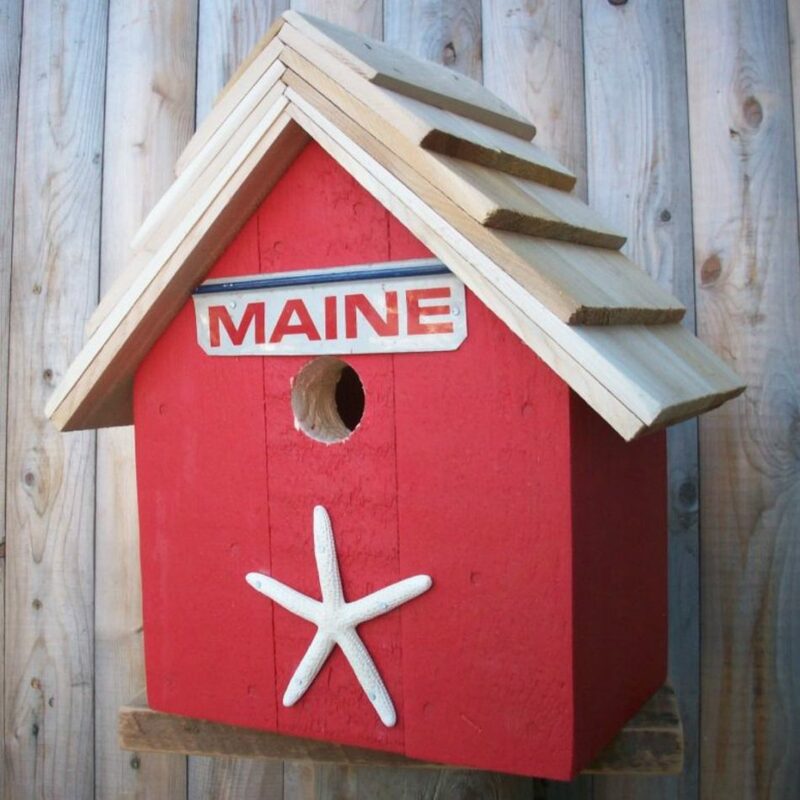 We still build our basic birdhouse line for bird lovers but also enjoy making special one-of-a-kind houses that seem to add much enjoyment to all our customers. All our pieces are designed for outdoor use for habitat but many customers also use them for interior home decor.